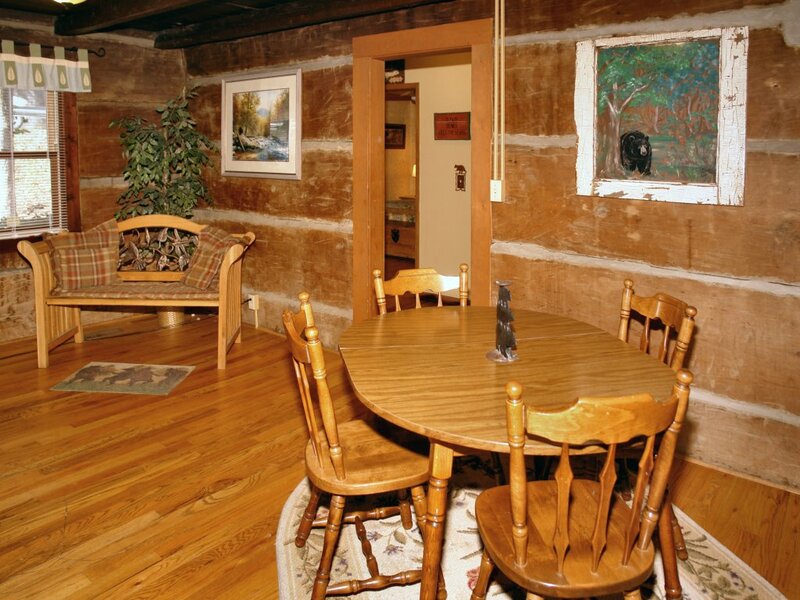 Location: Downtown Gatlinburg (Walking distance to the Parkway near Light #2) This unique Gatlinburg log cabin is decorated with charming Smoky Bears decor. 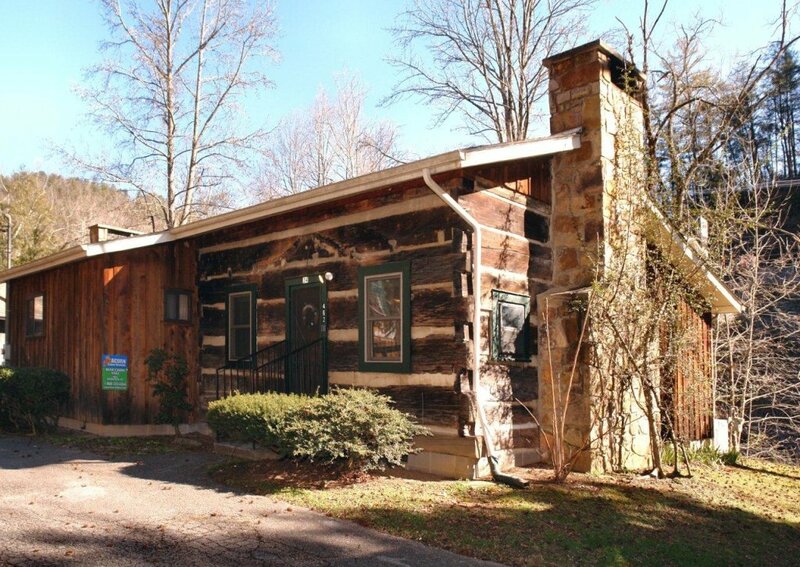 Built in the 1800s with native logs, this cabin is rich with history and charm. 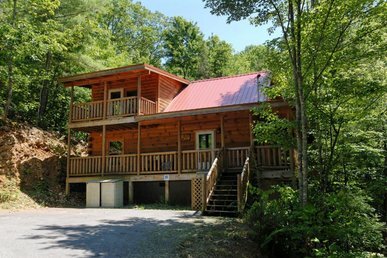 Located on the Little Pigeon River; it's one in a milllion location will satisfy your every desire for a fantastic Gatlinburg vacation! 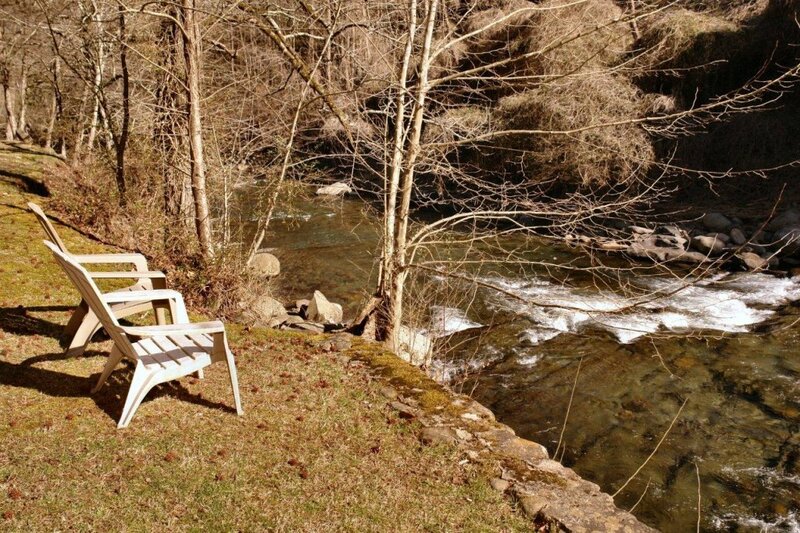 Fish off your back yard (local fishing licenses required) and/or take a short walk into downtown Gatlinburg! 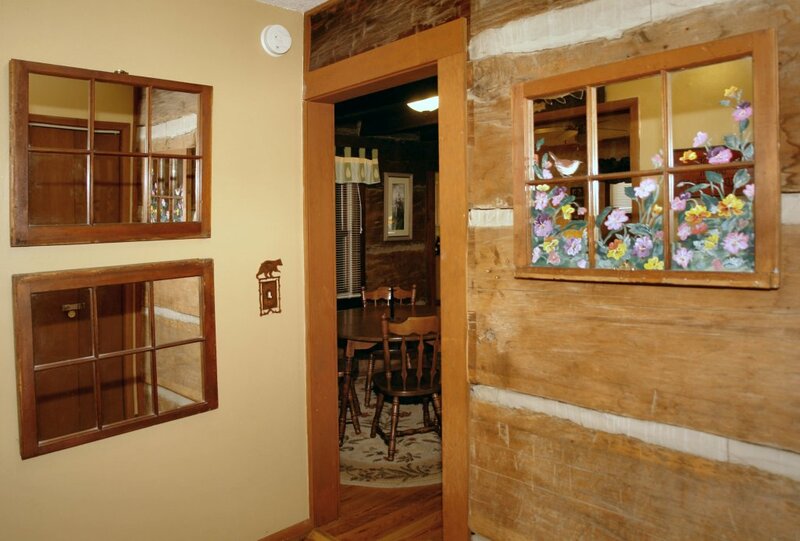 You will love this antique log cabin that has many guests returning year after year! 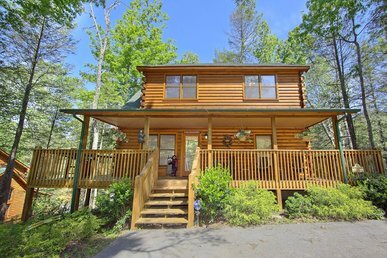 This charming authentic log cabin has a comfy living area with wood fireplace, fully equipped kitchen, & enclosed hot tub. 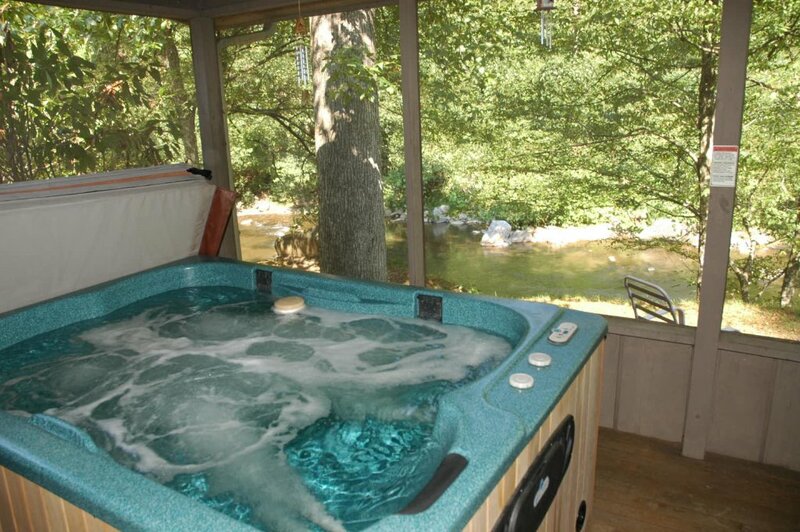 Rain or shine, you can soak in the hot tub while listening to the rushing Little Pigeon River. 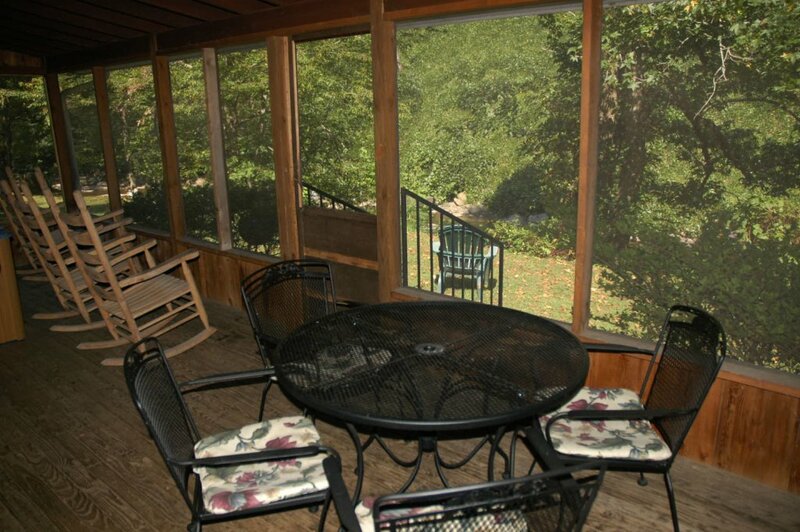 Enjoy your morning coffee in one of the patio rockers or grill out in your back yard while taking in the beautiful sight. 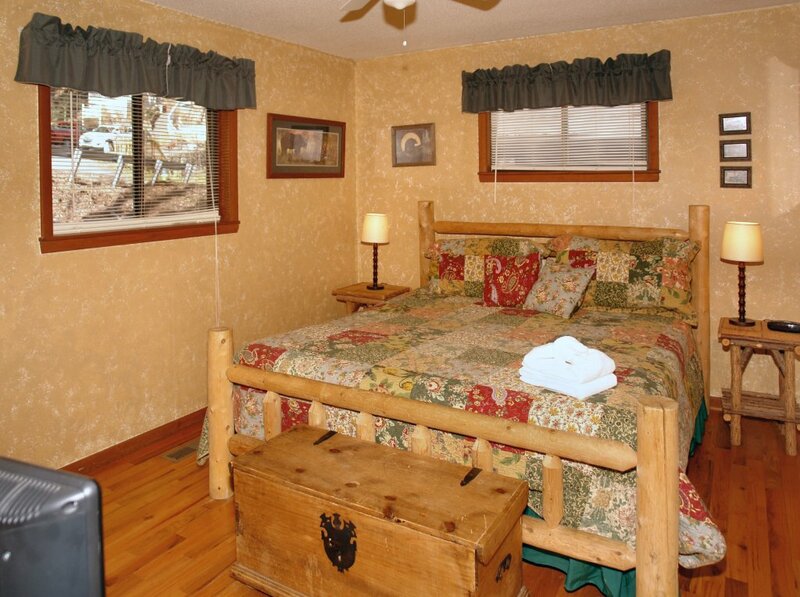 You'll enjoy your King & Queen Log Framed beds at Bear Cabin #462. 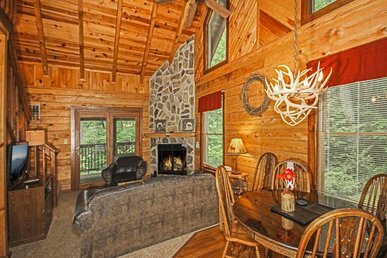 This log cabin is not only charming, but the location is ideal for any return visitor or newcomer to the City of Gatlinburg. 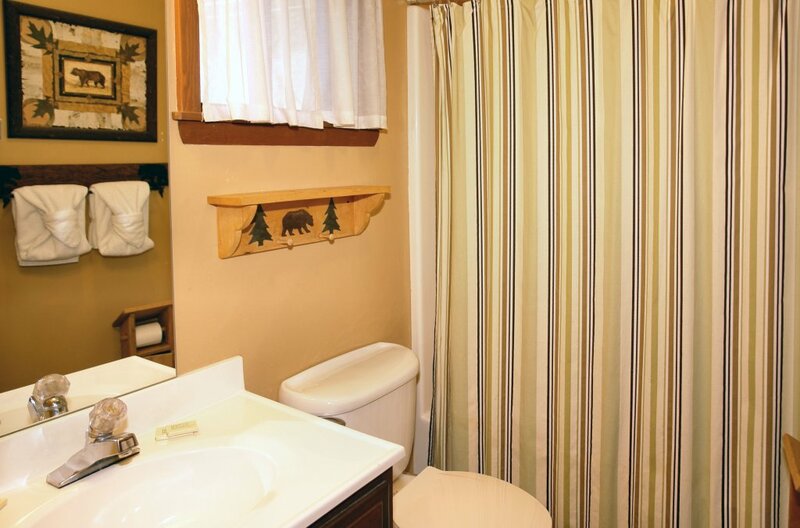 We've seen black bears that like to bathe nearby so bring your camera! 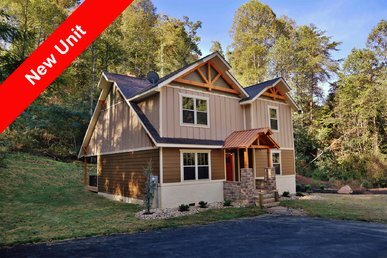 Reserve Bear Cabin #462 today! Register pets at time of reservation. 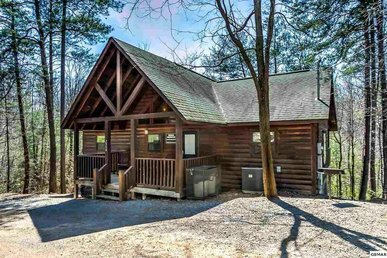 This cabin is less than 1 mile from Light #2. 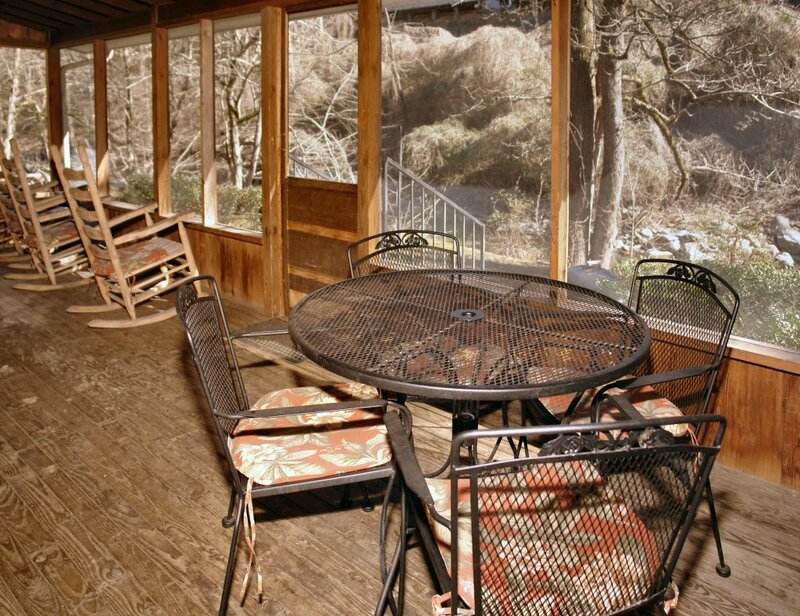 We were in Gatlinburg with another couple and we all enjoyed our stay at Bear Cabin. 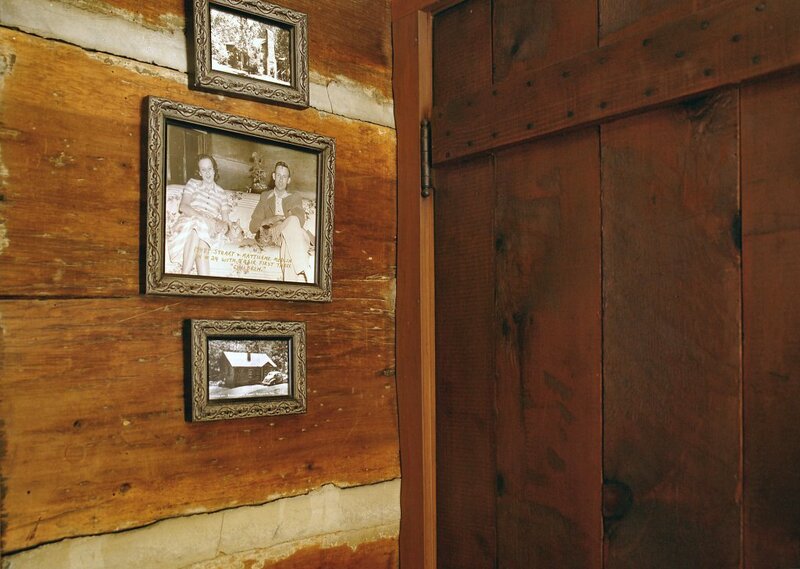 The cabin was clean and we enjoyed seeing the old photos on the walls and reading about it's history. 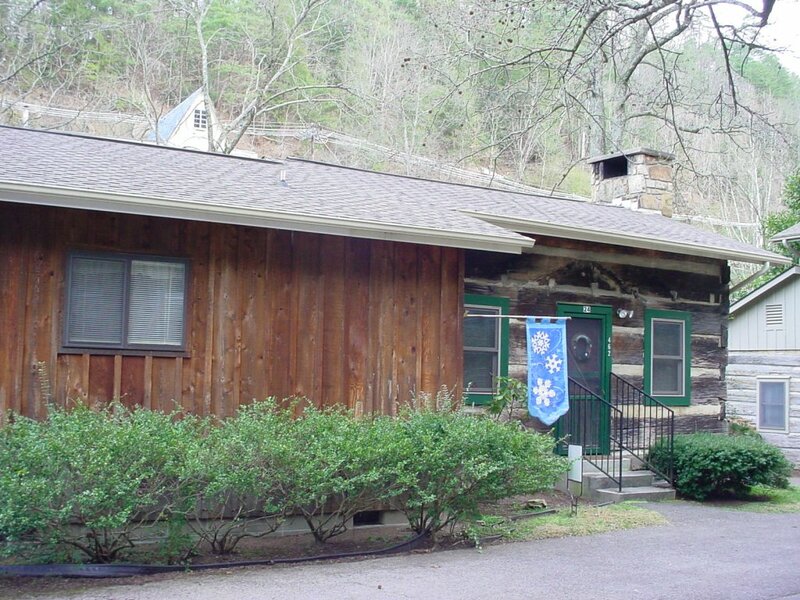 My husband and I discovered this group of cabins on the river a few years ago and love them. 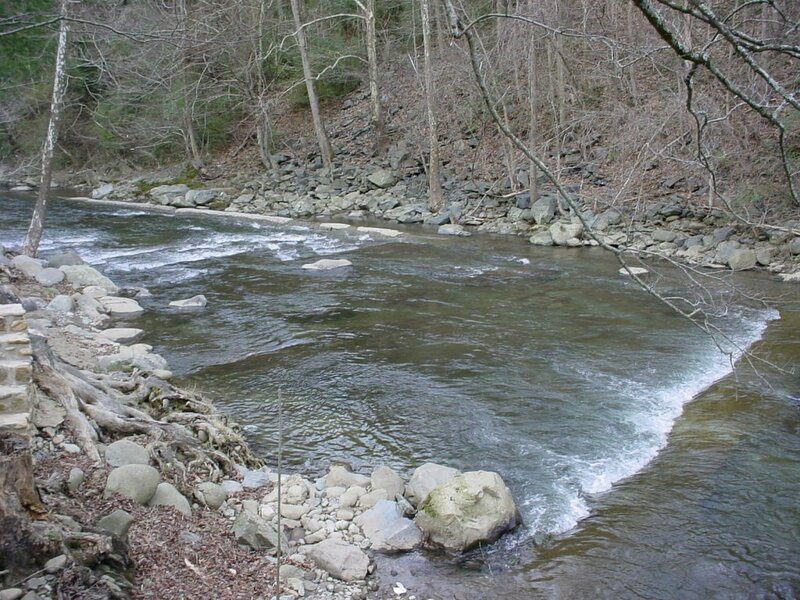 We were able to park and walk to restaurants and shops except for or trip to Cade's Cove and Clingman's Dome. 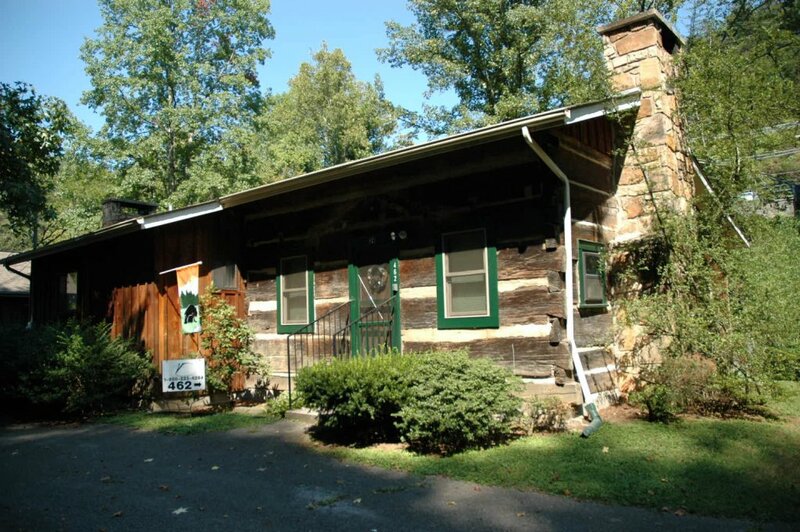 We always enjoy the Park Grill, Smoky Mt. Brewery, and Best Italian Cafe & Pizzeria. This year we also enjoyed Ole Red. 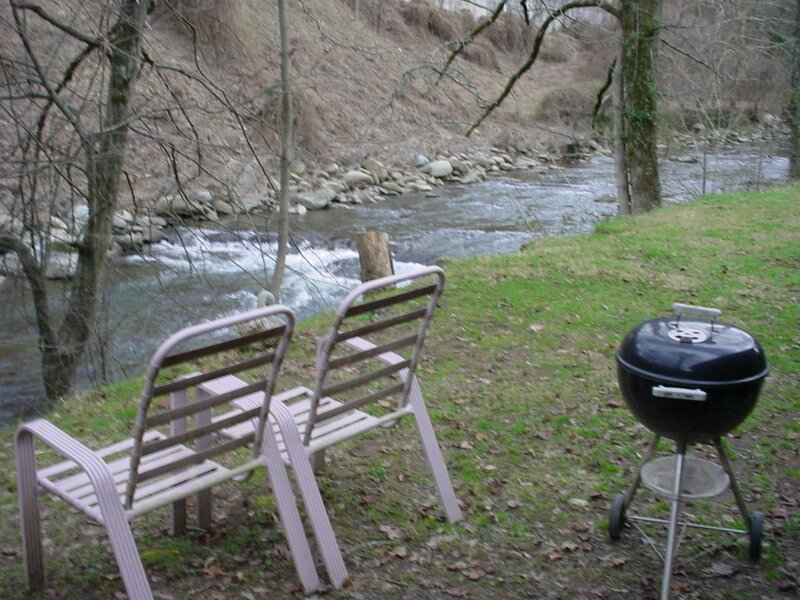 Overall a great stay and a great spot. 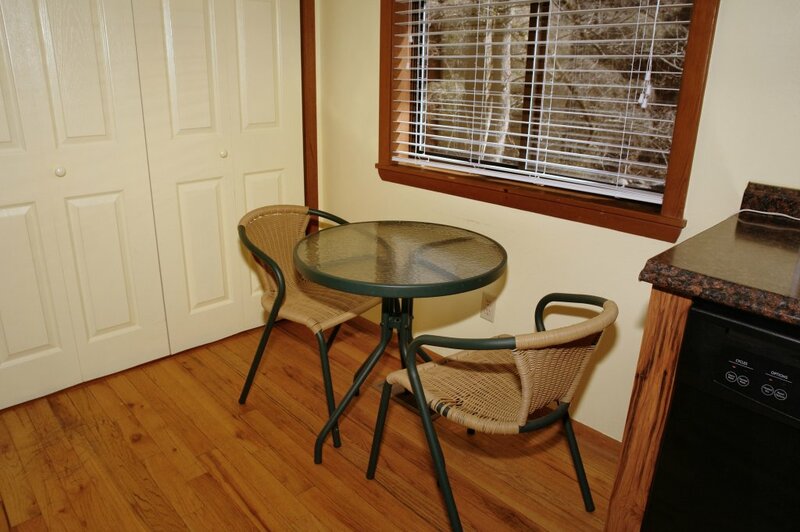 Also love that the cabins that are pet friendly. 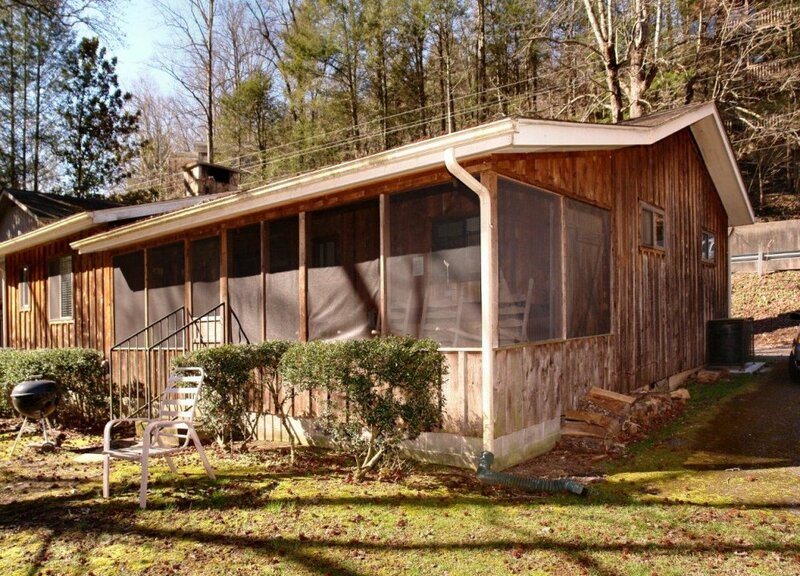 Our little travel companion crossed over the Rainbow Bridge before our trip this year, but she would have loved this cabin too. 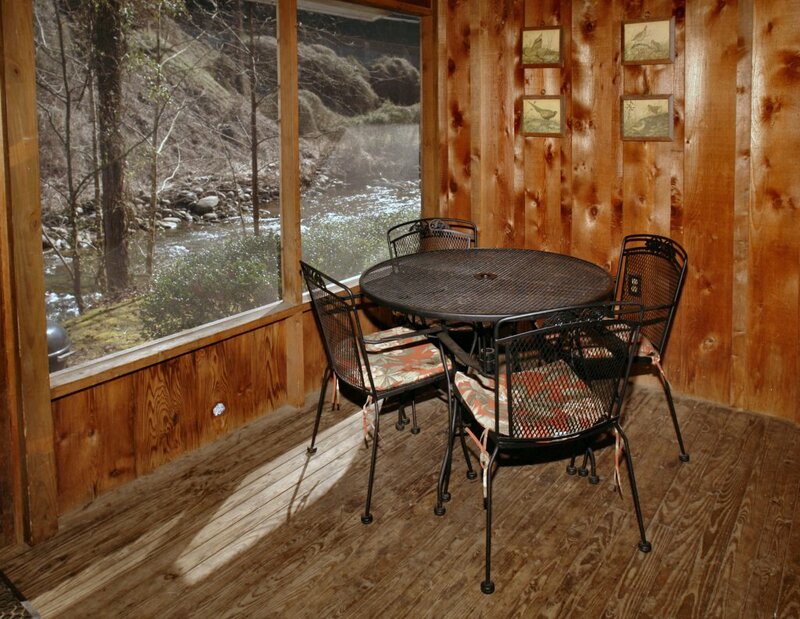 We stayed in this cabin last year and we loved the river behind it and the history of the cabin is phenomenal . Great location to walk to town. I love because it’s pet friendly and my fur babies get to have a vacation too. We did have to call shortly after our arrival my husband could not get on WiFi and we called the office and in less than 15 minutes someone arrived and fixed the problem. Thanks Aung Bugs for the great service. Overall I had a great stay because I was with the love of my life. 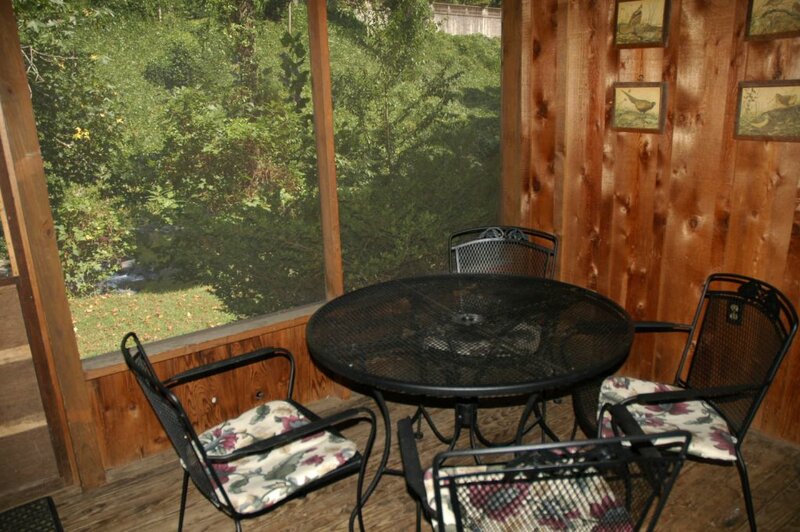 The disappointing thing was that we had a choice between getting a place with a view or a hot tub. 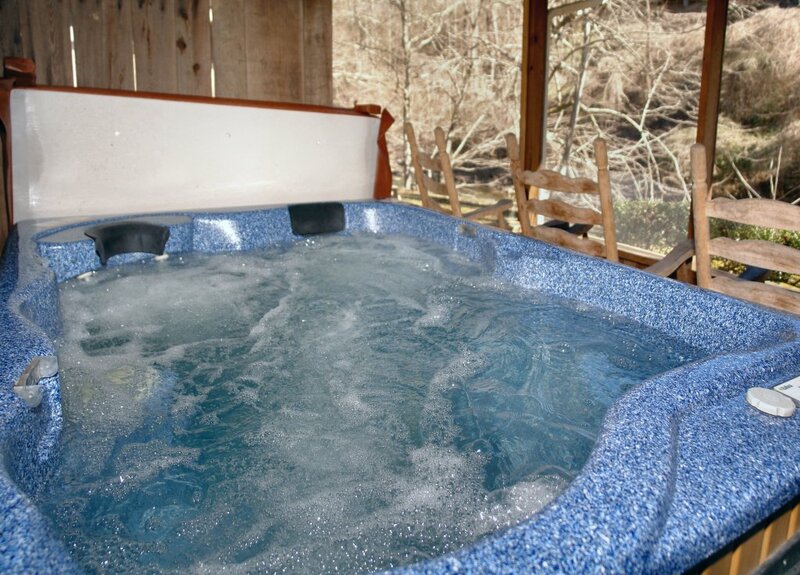 We chose the hot tub and it only worked for about 10 minutes. We called and left messages the next morning trying to get someone to fix it and no return call and no one came out to fix it. Specifically picked an off-season time for less hastle. 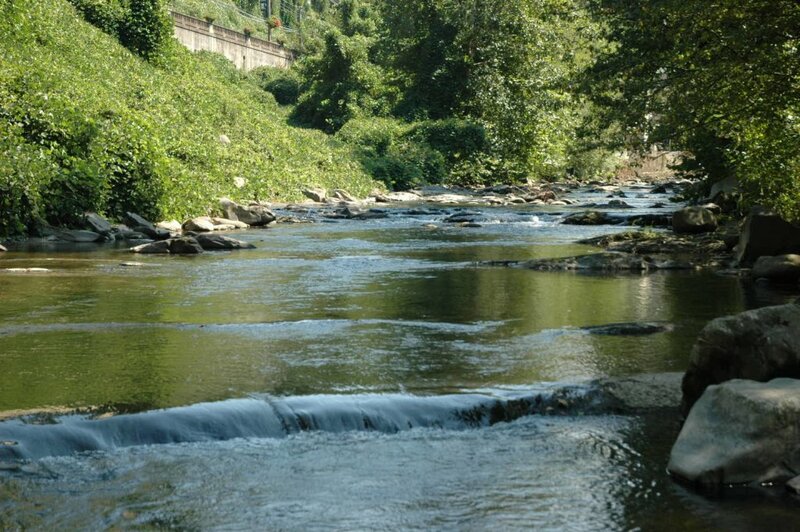 The sounds of the creek and geese were calming. Much easier to get out onto Hwy 441 than during peak season. 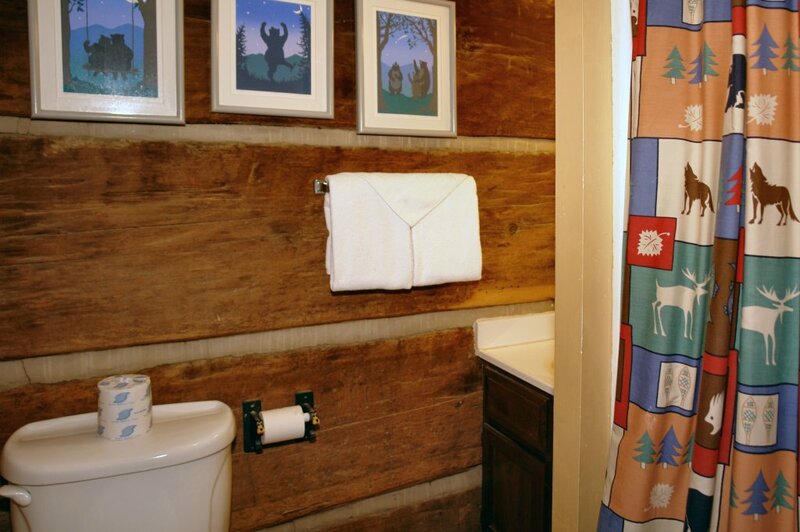 I thought the cabin was very nice and clean. 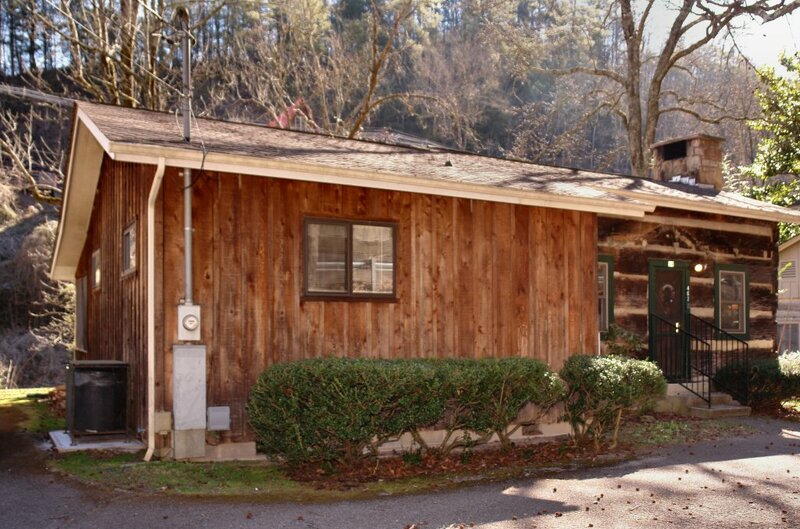 It's in a great location. I would suggest maybe getting some larger t.v. 's for the rooms. The size of the t.v. 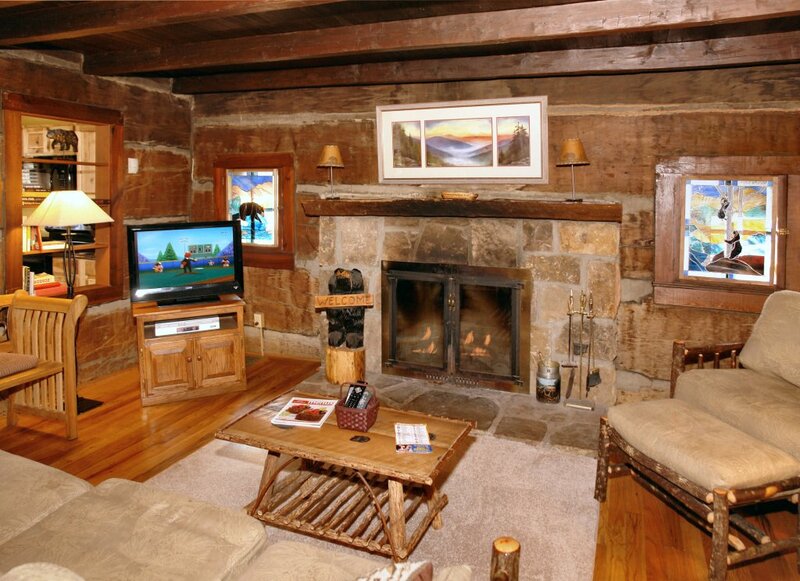 's didn't bother me because we stayed busy in town and weren't in the cabin that much but I could see where some would prefer to have a larger t.v. to watch. 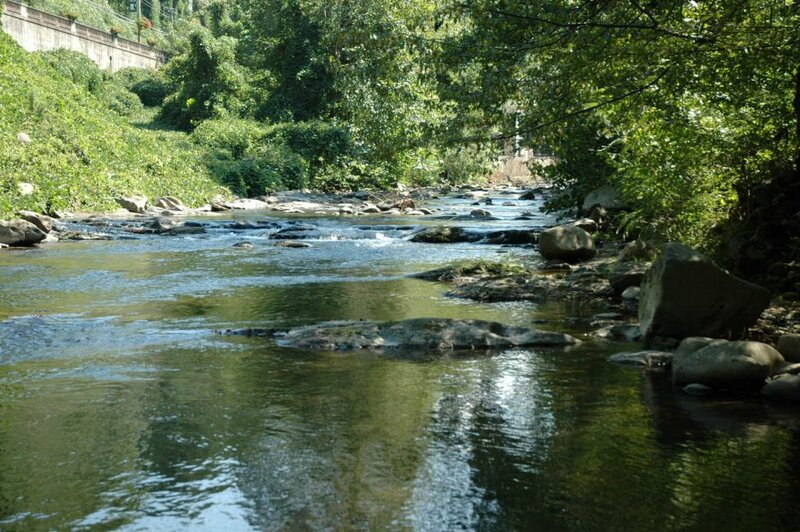 Overall, I thought it was a great place and would stay here again! It was Long weekend for friends to relax..when we arrived the lights were on welcoming us to the cabin..The cabin is just off the parkway so in the winter you dont half to worry about bad roads,but you feel like your out of town with very little vehicle noises..This cabin has all kinds if history as the original section was built in the 1800's and owned by one of original families of the community... the only issue I had would be that the option of Express check in be included in the reservation so that you're not rushing around trying to get everything done last minute would be helpful!!! I will make it short because I don't like to waste time. 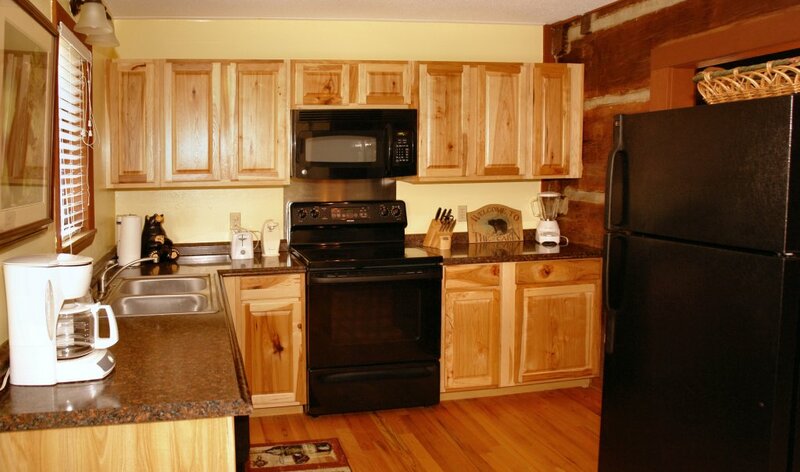 The cabin was old, the furniture was made of old tree limbs and poorly put together. 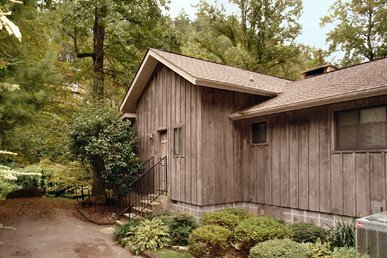 The cabin had no (zero) view. The TVs were very, very small, the front door needs repair. Basically we felt trapped in a place that was overpriced. The WIFI failed after one day and we could not get it restored.We are sure we have seen worst but a can't remember where. 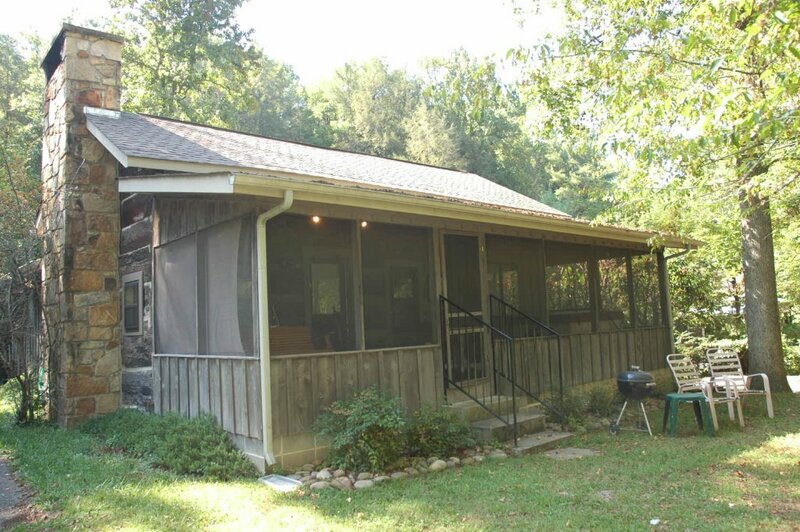 The rental personnel picked the cabin which we should have never let that happen.I am positive we will NOT be back. 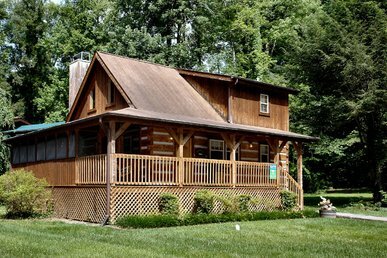 Cabin was excellent. It was very clean. Decorated for Christmas. 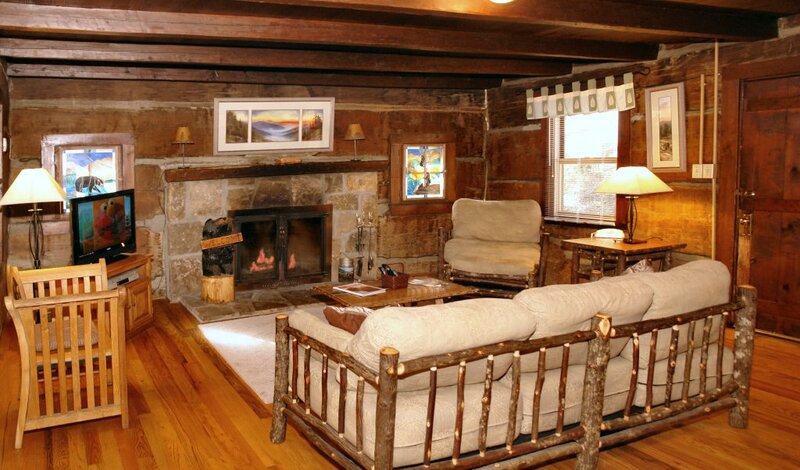 We enjoyed the wood burning fireplace. It was in a good location. 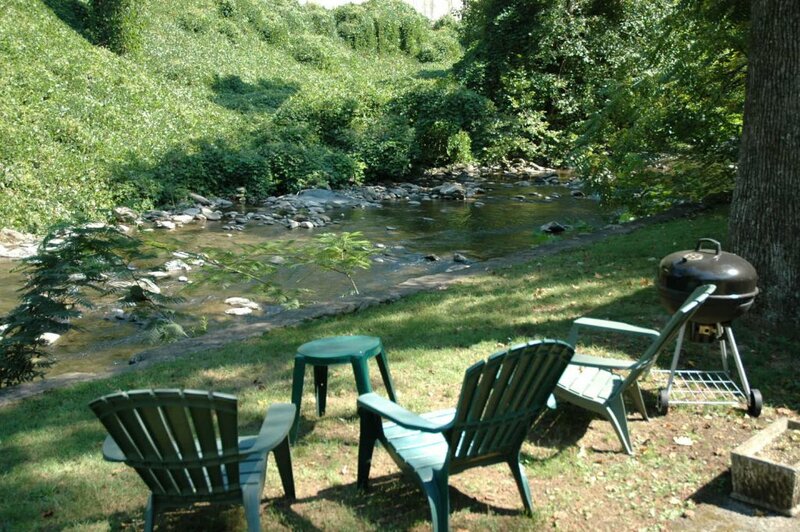 River stream out back was relaxing to see and hear. 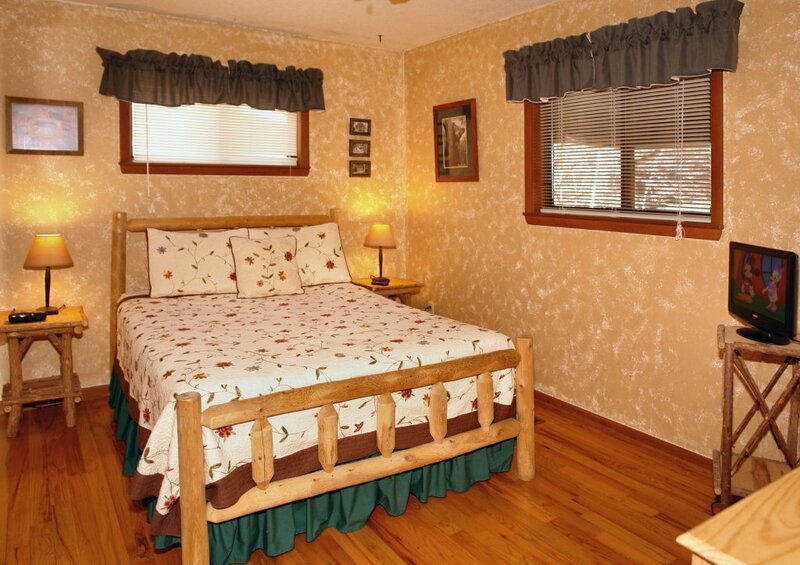 The beds were very relaxing. 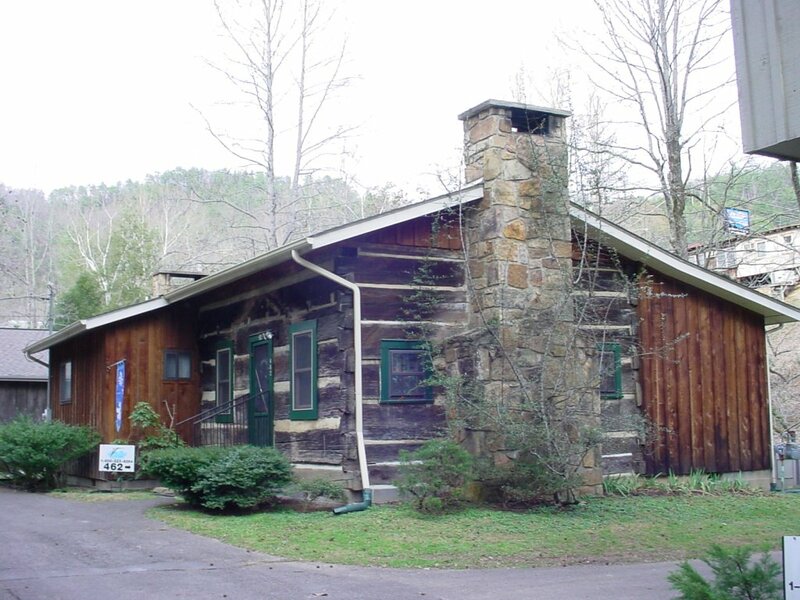 The cabin was in great shape. Checking in and out was easy. 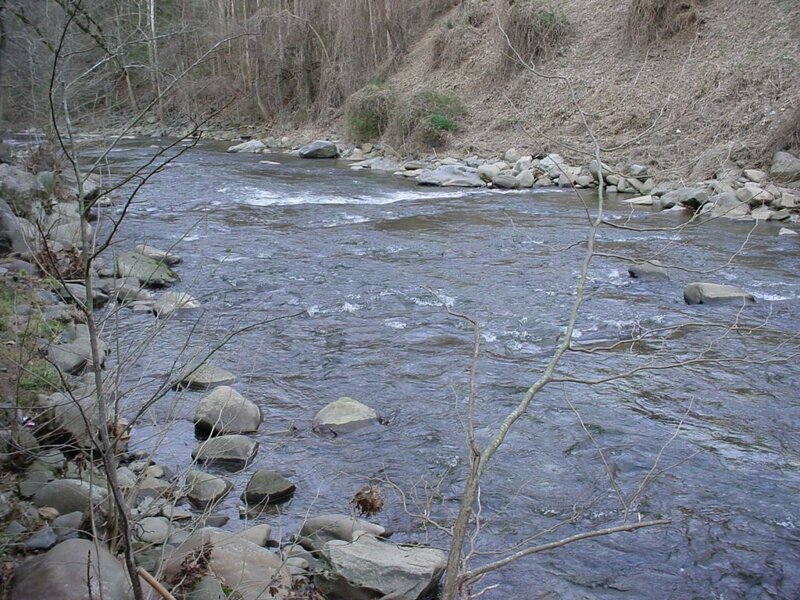 The river behind the cabin was beautiful. Close to town and but river made all of the noise drown out in the background. Even saw a bear with her 3 cubs.